When was the last time someone in the family decided to book a chalet in Changi and exclaimed ‘Barbecue!’? Grilling and eating around the hot fire in paper plates and drinking expensive (or not so much) booze from plastic cups is a lesser talked about fixture in many locals’ lives. We love the idea of getting away, that’s a given. We also love the idea of spending time with our family and friends by hanging out by the beach, so why not try and make the grilling worth all that effort? Instead of the usual hot dogs and chicken wings marinated in the same-old spice blends, how about trying something new, healthy and just as delicious? There is an overwhelming number of links between cooking food over an open flame and cancer-causing agents (hello, carcinogens). Dextrinization, a process where the natural sugars in a meat or vegetable burn and caramelise and ultimately taste super good, is also where cancer-causing cells are hiding. 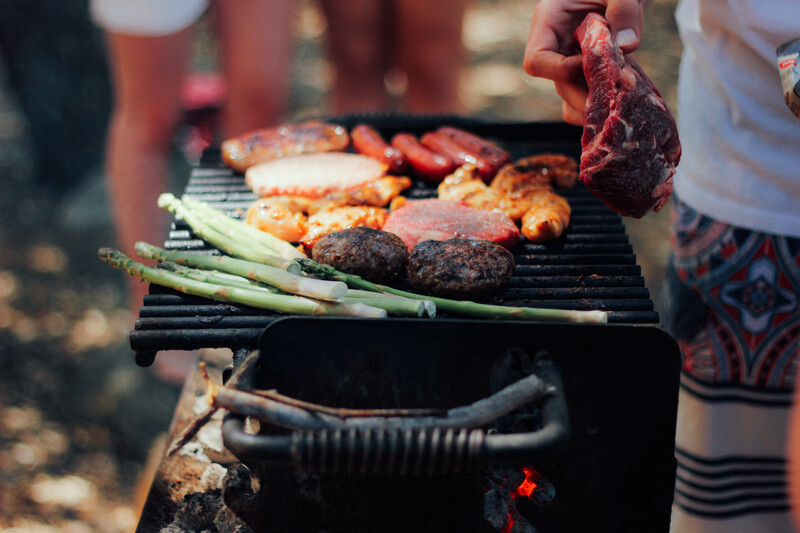 But worry not, here are a few alternatives you can employ the next time you’re heading out for a barbecue, or hosting one at the multi-purpose hall of your condo! Pick the right cut of meat by choosing wisely. The more fatty the meat, the more it melts down into the coals and creates that carcinogen friendly smoke (nope, this is not good for you). I’m not saying get rid of the thigh meat altogether (there are so many people who love it), but how about pre-cooking chicken thigh before showing it on the grill? You can roast the meat in the oven (or microwave) for about 20 minutes before bringing it to the open flame. Alternatively, you can use chicken breast as well. The trick is to tenderise the meat with lemon juice or yoghurt, so that it doesn’t taste like you’ve just grilled paper. You can also use snapper fillets on the grill, just remember to place them on foil before putting them on the grill. Play and experiment with your marinades, it could have a positive impact on the flavour of grilled foods and your body at the same time. Studies have found rosemary to be a particularly useful ingredient in reducing potentially cancerous heterocyclic amines in grilled food. Just make sure not to use too much of it, as rosemary tends to leave a soapy taste that your guests might not like so much. Try and squeeze some lemon, as well. The acidic content does not only add flavour to the meal, but kills any bacteria formation, too. Store and transport your meat correctly, to ensure it doesn’t go bad so quickly. Raw meat can be difficult to transport, so it’s best for you to invest in coolers that keep meat cool for an extended period of time before you get to the grilling location. Alternative, you can use the partial cooking method by microwaving your meat and storing it in a heat pack while your transport it. Once there, all you need to do is grill it till its cooked through! But be careful not to overcook your meat, though! 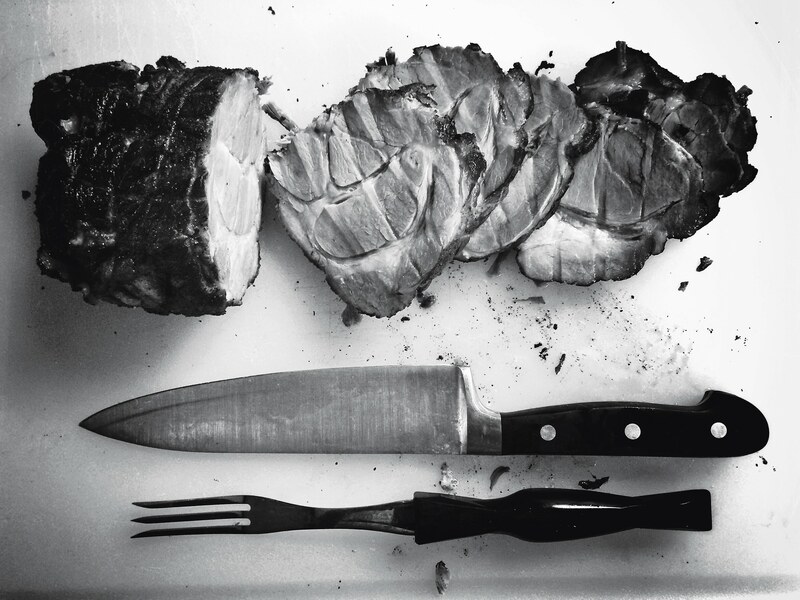 I know what you’re thinking – undercooked meats are the ones with the problem. I don’t disagree, but overcooked meats come with their own set of complications, too. Prolonged exposure to heat facilitates the development of carcinogens in the food, leading to high risks of pancreatic cancer. This particularly applies if you’re grilling red meat – having it very well done increases the chances of pancreatic cancer by 60 percent, according to a recent study. Ensure that the meat is quickly consumed, within 2 hours of grilling. Roughly after this time period, the cooked meat becomes a hotbed for bacteria to grow (literally) rapidly, in less that 20 minutes at times. And when planning dips for the grilled meat, go for a vietnamese or Thai salsa instead of a creamy dip. The citric acid or vinegar content in more lighter dressings tend to curb bacteria in grilled food, rather than something heavy like cream. As a bonus, you get to cut down on the calories, too! The next time you’re going for a grilling party, make sure you’re aware of these. While grilling requires quite the effort, it’s also great fun and can produce very delicious food!